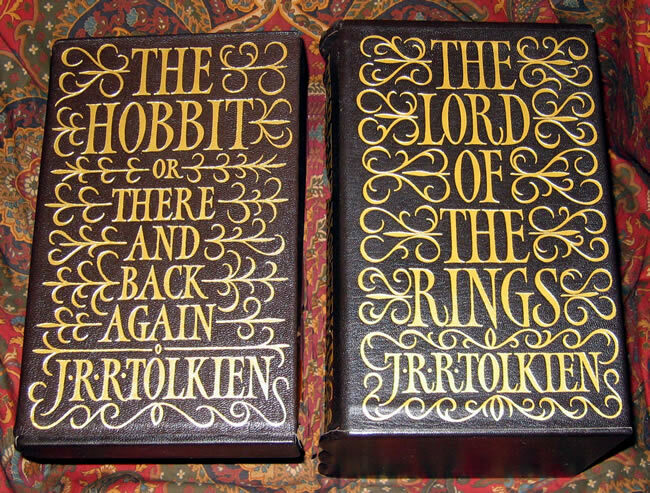 #000628 - Folio Society Deluxe Limited Numbered Editions of The Hobbit & The Lord of the Rings, matching limitation #1281 - $1650.00 Don't miss this rare opportunity to own a piece of history. 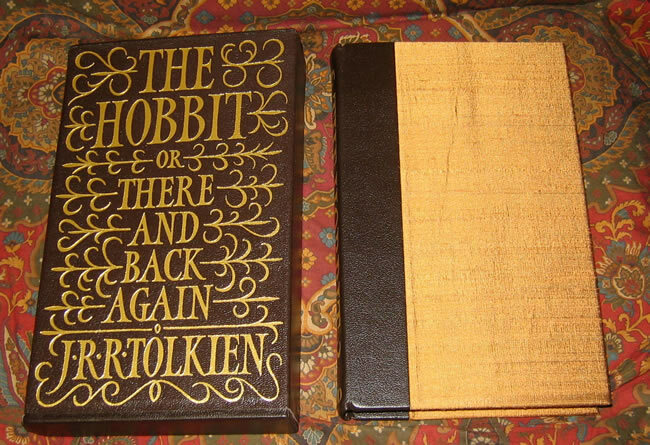 A must for all Tolkien fans and serious collectors as well. Don't miss this rare opportunity to own a piece of history. A must for all Tolkien fans and serious collectors as well. 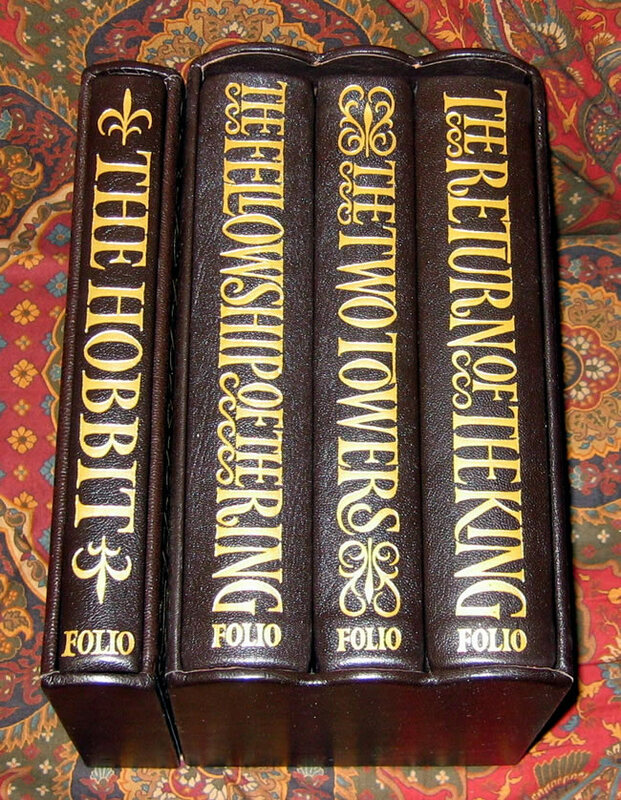 Folio Society Deluxe Limited Numbered Editions of, The Lord of the Rings and The Hobbit published in 2003 by the Folio Society. Limited Numbered Editions, Four Book Set, matching Limitation Number of #1281, on two separate issues. 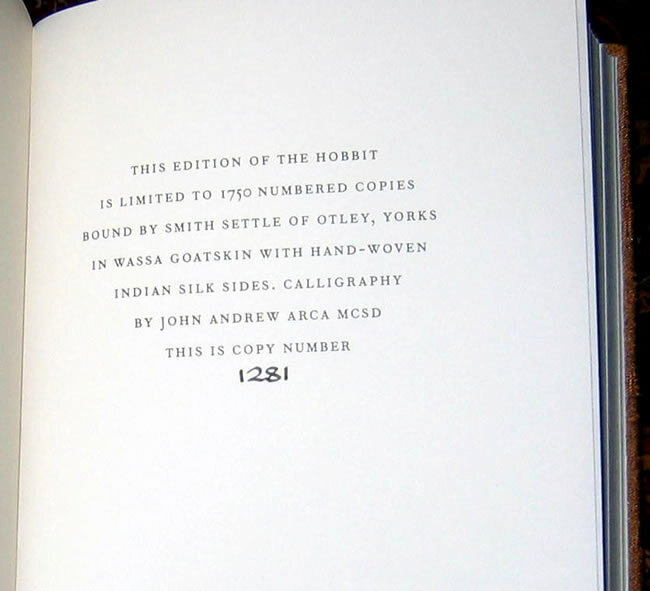 Includes The Hobbit #1281 and The Lord of the Rings #1281. Now available as a HAND BOUND LIMITED EDITION in a magnificent new binding of Moroccan goatskin leather and pure Indian silk. 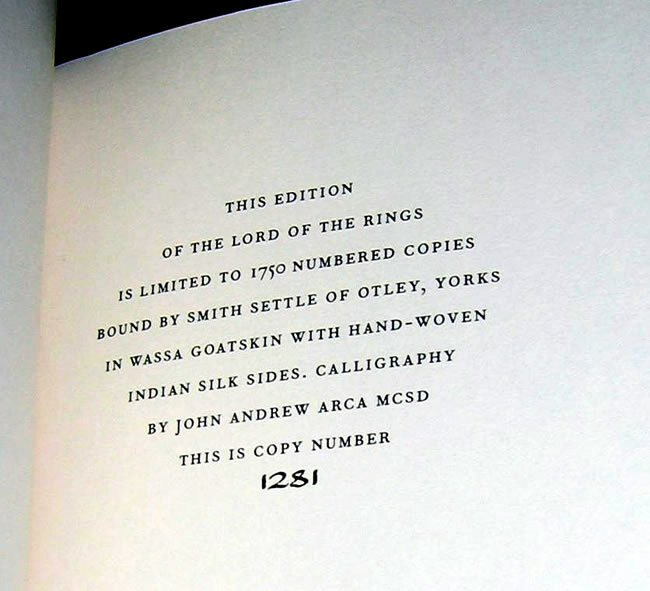 Both slipcased editions are individually numbered and limited to just 1750 copies. Don't miss this rare opportunity to own a piece of history. 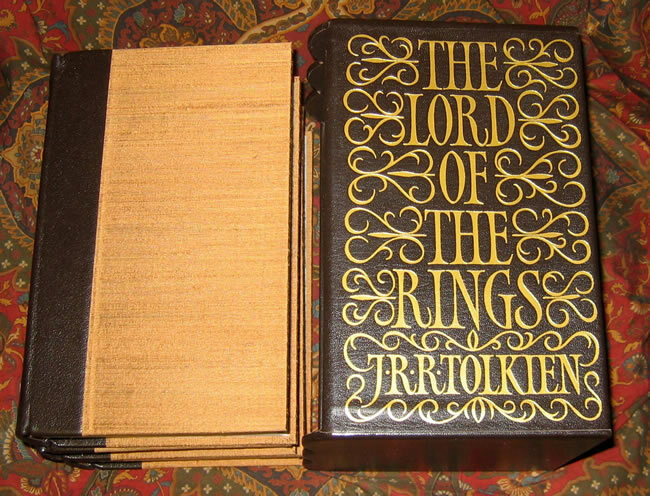 A must for all Tolkien fans and serious collectors as well! This pristine set of 4 books is housed in 2 slipcases, a very tough set to find, especially a matched Limitation Number set like these.